Karl Osipovic (Charles-Marie) de Lambert took part in the reduction of Paris in 1814. One year later he accompanied, together with his wife Julija Michajlovna, Czar Alexander I to the French capital. Staying is his suite in the Elysée in October 1815 Charles-Alexandre (Karl Karlovic) is born, father of our hero. With power back in the hands of Louis XVII the house of Bourbon is reigning again over France and Karl Osipovic could very well have been staying in his country. No doubt the combined pressure of the czar and his wife persuaded him to continue his life ‘in service of His Majesty the emperor of all Russias’. Karl Karlovic de Lambert in his turn will make a highly brilliant military career as friend and faithful servant of Alexander II. He is described as Chief General in service of H.M. the emperor of all Russias, Aide-de-camp, General of the Cavalry, member of the Council of the Empire, President of the commission in charge of the organisation of the southern colonies, Lieutenant-General in the kingdom of Poland and as Commander of the First Army. He also receives several decorations. From August until October 1861 he is the fifth namiestnik (governor) of the Kingdom of Poland. A boycott of municipal elections contemplated by political activists fails.With a view of restore the peace Karl Karlovic, as ordered by czar Alexander II, proclaims martial law on October 14 1861. On October 15 1861 inhabitants of Warsaw, demanding unification of Poland, take part in the commemoration of the death of the Polish general Tadeusz Ko?ciuszko, in spite of a prohibition. The three churches, in which “God saves Poland” sounds, are surrounded by Russian troops and the congregations refuse to end the services. Next day at dawn Russian troops, on orders of military commander governor-general Alexandr Danilowicz Gerstenzweig, no doubt against the orders of namiestnik Karl Karlovic de Lambert, enter the St. John cathedral and Bernardins (St. Anna) church and arrest 1878 churchgoers. As a protest against the arrests even inside a cathedral the roman-catholic diocese closes all churches of the town. On October 17 1861 initiatives are taken in the formation of a komitet miejski (Municipal Committee) – the highest authority of the ‘Red’ plot. De Lambert yields and liberates the prisoners. A vehement conflict arises between both officers. Gerstenzweig considers the orders of his principal as inconsistent. They make a bet: he who looses will commit suicide with a poisonous drink. It is Gerstenzweig who dies by his own hand. 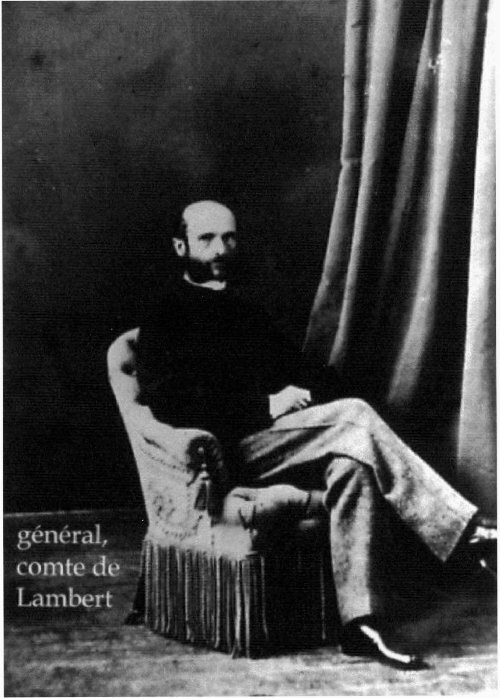 Governor and viceroy Karl Karlovic de Lambert resigns. With a critical pulmonary disease and in moral shock he precipitately leaves Warsaw on October 26 1861 and returns in France.